Below are answers to the most commonly asked questions we receive regarding renting a property. If you have a question that isn’t answered below, please email sales@annapolispropertyservices.com. How much is Annapolis Property Service's Management fee? Our management fee is 10% of the monthly rent. We do not charge vacancy fees or finder’s fees for new residents. We only pass on the direct advertising costs and maintenance costs. 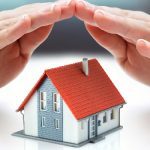 Do I need rental property insurance? We require that all property owners hold Landlord Insurance, with minimum liability coverage of $500,000. How do you conduct property walkthroughs? Before a resident moves in we conduct an in-depth move-in walk through that is detailed in a report that is both written and with video. During the tenancy, we conduct semi-annual walkthroughs. Once a resident vacates the property, we conduct a move-out walkthrough with video. Do I need a rental license and if so how do I acquire one? If your property is within the City of Annapolis, you are required to hold a rental license, at an annual cost of $100.00. We complete all the paperwork on your behalf and accompany the inspector on their annual inspections of the property. If your property is outside the city limits no license is required. For electric and gas utility bills, you can switch your account to a landlord account by completing a simple form from BGE. For water and waste bills, it is easiest to leave these bills in your name and change the mailing address to APS. When a bill comes in we then forward it on to the resident for payment. For all the internet/TV/phone service we suggest disconnecting everything and returning any equipment to the provider. We request that you pre-authorize APS to make repairs up to $250. For repairs in excess of $250.00, when it is not an emergency situation, APS will contact you for authorization. In the event that we can’t reach you or in an emergency situation we will use our best discretion to resolve the problem and mitigate further damages. As long as your vendors and suitably qualified and carry adequate insurance coverage we are more than happy to utilize them for any repairs at your property. Do you recommend we invest in a home warranty plan? Will you work with home warranty plans? The only home warranty plans we with work with are those that utilize their own technicians and offer suitable response time to maintenance requests. Currently, the is BGE only provider that offers this level of service is BGE Home and even they are not always able to resolve issues in a timely manner. Nothing affects the reputation of a Landlord or a property management company more than the manner in which repairs are handled. Residents judge us by almost no other measure. It makes little sense to entrust your and our reputation to vendors that we don’t know, have no relationship with or control over, hence why we don’t work home warranty programs. Owners are paid by the 15th of every month through a direct deposit system. To set-up, direct deposit APS requires a voided check from the account you want your funds deposited into. Rent is due on the 1st of every month. Note that under Maryland law there is a mandatory five day grace period. Rent is collected from the tenant between the 1st and 5th of the month. How are prospective residents screened? How will you list my property? We will create an electronic listing of your property and post to our website that will be used for all other listing and advertising. We will also list your property on a number of other websites. Should I allow residents with pets? Depending on your property we typically recommend that pets be considered on a case-by-case basis, that you restrict the number of pets allowed, and specify size and breed. Make sure house is clean and tidy, do your best to de-clutter and keep the inside and yard as tidy as possible. How much notice do I have for showings? All property showings are conducted by an APS employee. If you still occupy the property we aim to provide 24-hour notice. How do you determine monthly rent? Annapolis Property Services provides market information and guidance to help you determine the monthly rental fee.